China's fifth-generation maglev train prototype with a maximum speed of 160 kmph has completed a successful test run, its manufacturer said today. Maglev refers to a transport system in which trains glide above a track, supported by magnetic repulsion and propelled by a linear motor. 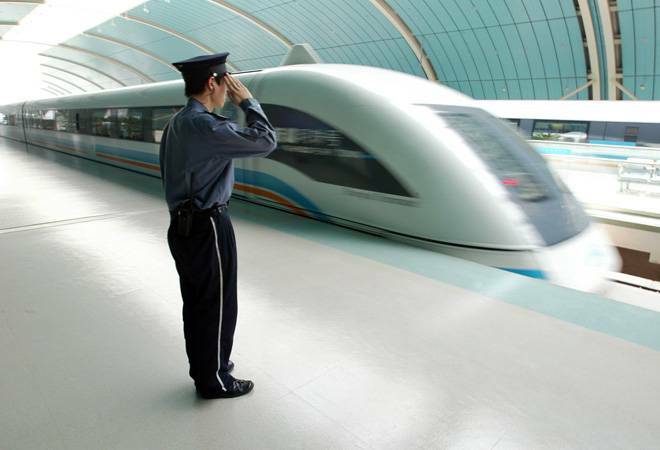 Compared with the medium and the low speed maglev trains that have entered operation, the traction efficiency of the new train has been improved by 10 per cent, while its energy consumption reduced by over 20 per cent, state-run manufacturer CRRC's Tangshan branch said. The fifth-generation prototype had two carriages with a maximum capacity of 318 passengers, the state-run Xinhua news agency reported. The train, with a flexible assembly of two to six carriages, is suitable for operation between cities, central and satellite cities and within a city. The successful test run has laid the foundation for the sixth generation maglev train with a designed speed of 200 kmph, the report said.